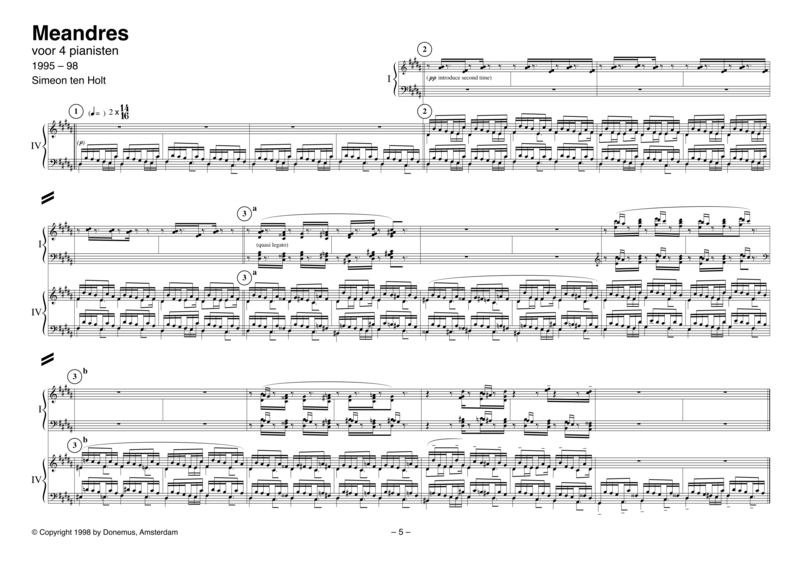 Meandres is the fifth composition in a series of pieces that last a whole evening. 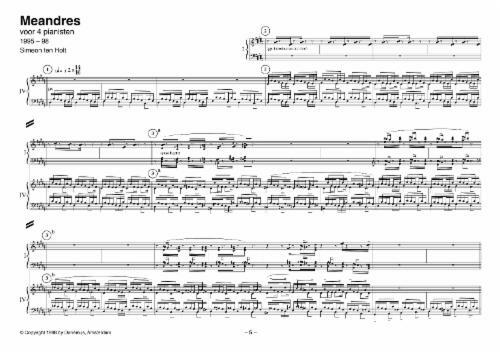 With Canto Ostinato, Lemniscaat, Horizon and Incantatie IV, Meandres has in common that the musicians have much freedom regarding repeats, dynamics and mutual exchange. Yet Meandres differs from the other compositions because of a greater complexity, a considerable extent of chromaticism and a more defined division of roles. Because of the ever present open and experimental situation, the meandering course of the concept means a pretty demanding adventure for the musicians. It is the result of the search in the labyrinth where borders of time and space are being interrogated.